Remember when you were super excited that True Detective season one director Cary Fukunaga was working on a new two-part movie adaptation of Stephen King’s It? Well, after multiple years of development, Warner Brothers passed that project along to New Line Cinema, and Fukunaga didn’t like how things were going so he got up and walked away from years of work. Now Mama director Andy Muschietti is working on the adaptation of King’s novel. But Fukunaga isn’t completely disappearing, if that was a fear of yours. 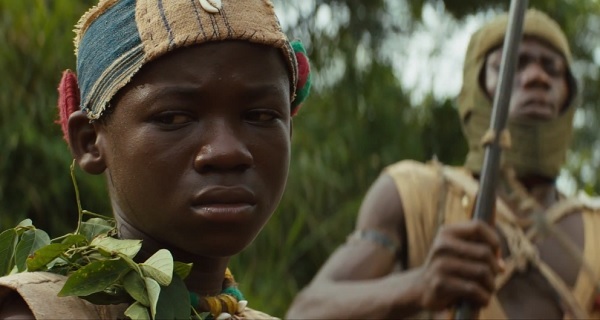 He also made an original movie for Netflix titled Beasts of No Nation. The movie stars Idris Elba (Star Trek Beyond, Pacific Rim) as the leader of a mercenary group of fighters who take in a young West African boy (played by newcomer Abraham Attah) and train him to become a soldier. Netflix has released the first teaser trailer for the movie, and you can check it out below.